The Pope’s homily for Friday, February 28, surely is a trial balloon that has been launched with the Synod on the Family in mind. The past weeks have seen a number of statements and conversations about the debated issue of whether a divorced and remarried person can receive the Sacrament of Holy Communion. It would seem that the recent statements made by Cardinal Müller about the indissolubility of marriage and the impossibility of a change in pastoral practice concerning divorced and remarried Catholics would put the question to rest (cf. the recent post on Rorate Caeli). But the voice of the Prefect of the CDF and the Catechism of the Catholic Church seem no longer to put an end to much of anything. Where there is a will, there is a way. The Pope’s homily this morning was based on the text from the 19th chapter of the Gospel according to St. Matthew, where the Pharisees ask Jesus a pointed question about divorce. There follows the ensuing conversation, ending with Jesus’ clear condemnation of divorce and remarriage. The Pope frames his homily in terms of the "casuistic" attitude of the Pharisees in contrast with Jesus’ response grounded in the love of God in the creation of man and woman. Surely I am not the only one who smiles at the thought of a Jesuit using the term “casuistry” in the most negative way possible: as a sign of the legalism and hypocrisy of the Pharisees. I hope that Suarez, Molina, and even Pascal, can appreciate this irony, not only with respect to the Jesuits being cast as Pharisees, but also with respect to taking away the very basis of the casuistic approach, which, at least in the Catholic Church, is tenderness to the sinner. It is this concern, this tenderness, one may even say love, for the sinner, that drove the casuists. It was for this that some, including Pascal, believed that they had stepped over the line into moral laxity. One would have expected at this point an exposition of Jesus’ words about the indissolubility of marriage. But this is totally absent. Instead the Holy Father takes up how marriage is used as an icon, so to speak, of the love that God has for his people. “The Lord takes this love of the masterpiece of creation to explain the love that he has for his people. And a little later: when Paul needs to explain the mystery of Christ, he does so also in relationship, in reference to his Bride: because Christ is married, Christ was married, Christ had been married to the Church, his people. As the Father had married the people of Israel, Christ married his own people. This is the story of love, this is the story of the masterpiece of creation! And before this path of love, before this icon, casuistry falls down and becomes pain. But when a man leaves his father and mother and joins himself to a woman, when he makes himself one flesh with her and goes forward and when this love fails, because it fails so many times, we have to feel the pain of the failure, we have to accompany those persons who have experienced this failure of their own love. Not to condemn them! To walk with them! And to not take a casuistic attitude towards their situation”. “We here also need to be attentive that love does not fail! We talk too much of Christ as unmarried: Christ married the Church! And we cannot understand Christ without the Church and without the Church we cannot understand Christ. This is the great masterpiece of the Creation. May the Lord give us all the grace to understand this and also the grace to never fall into the casuistic attitudes of the Pharisees, the Doctors of the Law”. One cannot help but notice, as remarked above, the absence in the Pope’s homily of a reference to Christ’s words that are the climax to this gospel passage: the teaching on the indissolubility of marriage. This is perplexing not only because of its fundamental role in the Church’s understanding of marriage, but also of the Church’s assertion that marriage is a Sacrament. It is the latter that will be the stumbling block for those who wish to radically change the pastoral practice of the Church regarding divorced and remarried Catholics. One would have thought that a positive Jesuit casuistry would be one route towards approaching this real problem. But Pope Francis in this homily has cast casuistry into the darkness of moral rigorism within a life lived as hypocrisy. What would St. Alphonsus say about this? A phrase repeated several times in the Pope’s homily is the “failure of love”. It is not clear what this means. In terms of syntax: is love a subjective or an objective genitive? That is, is he speaking of love’s failure or is he speaking of the man and woman in the broken marriage failing to love? 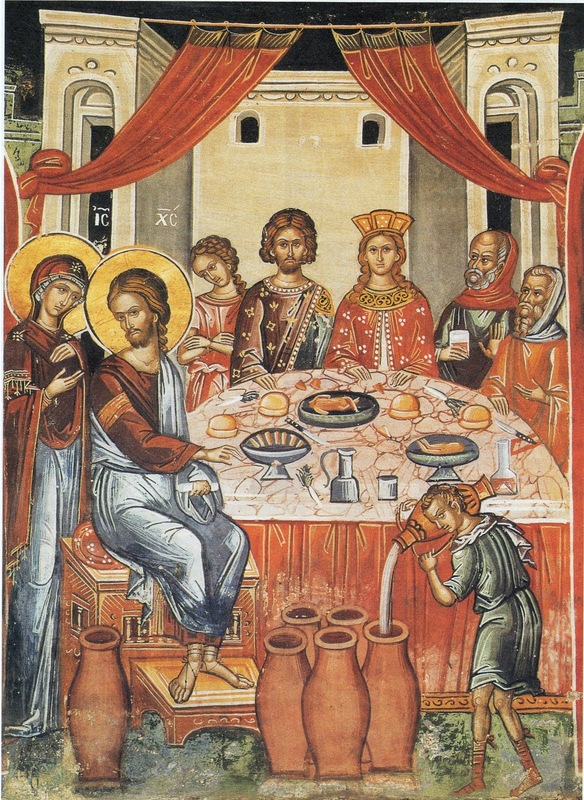 If Christ is the Love that binds the man and the woman in the Sacrament of Marriage, then dare we say that Christ has failed to impart his grace that is Love in that marriage, or that somehow he has abandoned that marriage, as if he could abandon the species of bread in the consecrated Host? God forbid! If the “failure of love” means that the couple have refused the grace of the Sacrament, that they have not willed to love each other using that grace, that they have given up on the possibility of love in their marriage: then this is not only tragic and sad, but it is sinful. Who can deny that the Pope’s concern for the pastoral care of the divorced and remarried is genuine and real? Who can deny that the Church must walk with them in love and caring? But a pastor must never shepherd his sheep forgetting or denying the clear words, the hard sayings, of the Pastor, the only Pastor, He who is the Way, the Truth and the Life. However important it is to be with sinners in this valley of tears, to show them the love of Christ’s Church for them, to care for them, uphold them, we must always remember this: this road of love always leads to the Cross. The pastoral road always ends up on Calvary. It is there that the sinner confronts both his own sinfulness and the means of his salvation. Without a pastor bringing his people to that confrontation: this is a true failure of love. Abp. Gänswein: "Yes, Francis' and Benedict's liturgical sensibilities are different, it's not an offense to say so." Do the Pope and the Pope emeritus interact frequently? There is an excellent relationship. The ways in which they interact are various. 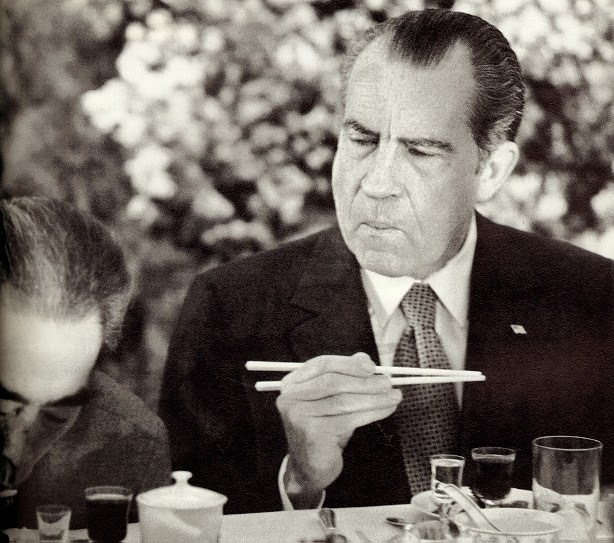 They telephone, they write, they meet, they eat together. Pope Francis has been a guest for lunch in the monastery several times. Once, after Christmas, the Pope emeritus was also in Santa Marta. The are some who contrast them. It is a favorite game, especially for some journalists. Which does not please me. I have the grace of living with one and working with the other. And I can thus allow myself to say that I know both very well. I do not see them as opposed, but as complementary. It is obvious that the style, the gestures, and even the form of government of Pope Francis are different from those of Pope Benedict. But an opposition cannot be established only based on this. Doing things in a different way does not mean doing them in an opposite way. One must always have in mind that which the Pope emeritus wrote to professor Hans Küng and repeated to Andrea Tornielli, when he expressed "identity of views and heartfelt friendship" regarding Pope Francis. Also in the liturgy the sensibilities are different. That is true, this is an objective fact, and it is not an offense to say so. But even in this case, I repeat, doing things in a different way does not mean doing them in an opposite way. Quite a warning for those who worship the man instead of venerating the office and esteeming its occupants. Abp. Gänswein observation on the liturgy is quite true. It can be said that Pope Benedict showed as Supreme Pontiff a specific sensibility in liturgical matters, but one of the major reasons it can also be said that a fundamental "reform of the reform" of the new rite is a matter of the past is that its major proponent and almost father, Joseph Ratzinger, in the end felt it better not to propose any change of the Typical texts of the Rite of Paul VI or of its liturgical law (even the "pro multis" affair was a reminder of error in translation - still not effected in most languages - not a reform of the reform in texts or liturgical law). During the same pontificate, in contrast, the indult allowing communion in the hand was extended to the one major European country still not allowing it, Poland. Personal liturgical sensibilities alter the visual perception but do not a fundamental reform make. Ecce nova facio omnia: Amen. So, yes, EWTN can be very traditional-friendly when they want to. And when they do so, they are following the lead of their founder, Mother Angelica, who loves the Traditional Mass profoundly. Pope Francis: "Bishops, Enough with Congresses, Conferences and Travels! The Decrees of Trent must be obeyed: a Bishop must truly reside in his diocese." The Second Vatican Council states that to the Bishops "is fully entrusted the pastoral office, that is the habitual and daily care of their flock" (Lumen Gentium, 27). We must dwell more on these two descriptions of the care of the flock: habitual and daily. In our time assiduity and habituality are often associated with daily routine and boredom. So often we try to escape to a permanent "elsewhere". This is a temptation for Shepherds, for all pastors! The spiritual fathers must explain it well, so that we understand it and will not fall. Even in the Church, unfortunately, we are not exempt from this risk. Therefore, it is important to reiterate that the mission of the Bishop requires habituality and daily dedication. I think that in this age of meetings and conferences the decree of the Council of Trent on residency is so up-to-date: it is so up-to-date and it would be nice if the Congregation for Bishops wrote something about this. The flock need to find space in the heart of the Shepherd. If he is not firmly anchored within himself, in Christ and in his Church, he will be constantly buffeted by the waves in search of ephemeral compensation and will not offer any shelter to the flock. The Pope is right - but of course it is mainly the post-conciliar duties of the permanent functioning of the Conferences of Bishops, these bureaucratic behemoths, and their endless committees and gatherings, as well as international meetings of all kinds, from ecumenism to interreligious dialogue, that have increased the incessant traveling of bishops outside their dioceses. This had become quite unusual in the three centuries preceding Vatican II as the non-residential Ordinary common throughout the late Middle Ages and Renaissance became increasingly scarce with the full implementation of the Tridentine reforms. In this as in much else the practical effect of Vatican II has been that of an Anti-Trent. The Mass of 1965: back to the future? One reason why many good-hearted people wanted a 'Reform of the Reform' is that some kind of reform was called for by the Second Vatican Council in Sacrosanctum Concilium ('SC'). 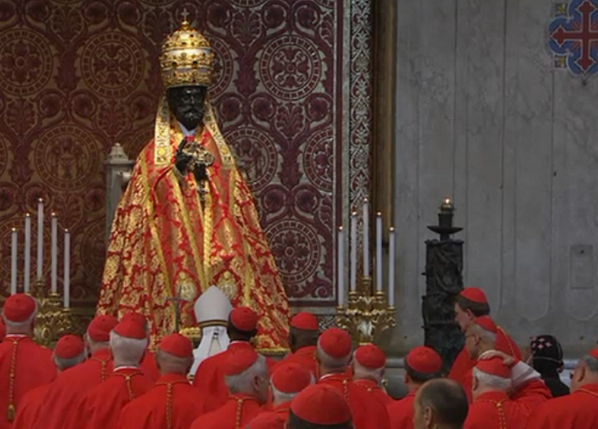 Now that some of them have given up on the project of tinkering with the Novus Ordo, an alternative would seem to be going back to the 1962 Missal and using the Council's criteria to make the reform again. To undertake the Reform We Should Have Had. Fr Somerville-Knapmann suggests it might look like the transitional Missal of 1965. Fr Mark Kirby says very much the same thing with more detail. The first thing to note is that this wasn't a new edition of the Missal, but just a set of provisional revisions made by the Instruction Inter Oecumenici. There was another lot in 1967, and then the new Missa Normativa came out in 1969. Inter Oecumenici says about itself that it authorizes or mandates that those measures that are practicable before revision of the liturgical books go into effect immediately. 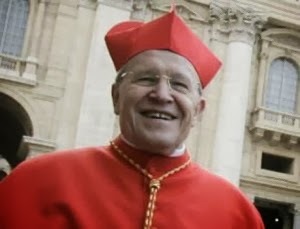 Among those Council Fathers who publicly expressed their opinion on Sacred Liturgy during the debates (First and Second Sessions) on the schema De Sacra Liturgia which led to Constitution on the Sacred Liturgy (Sacrosanctum Concilium), none was more radical than German-born bishop Wilhelm Josef Duschak, S.V.D., Vicar Apostolic of Calapan, in the Philippines. Bishop Duschak emphasized that he was not proposing the abolition of the existing form of the Latin Mass. He was merely proposing that an additional form or structure of the Mass be introduced. *Note 1: The original PDF file was located here (http://www.jesuits.ph/windhover/WH4Q05.pdf, visited on Oct. 26, 2006), but has since been removed. A copy is to be found at the Internet Wayback Archive. The same reference is also found in several works covering the liturgical reforms. Asked whether his proposal originated with the people whom he served, he answered, "No, I think they would oppose it, just as many bishops oppose it. But if it could be put into practice, I think they would accept it." Below there is a collection of items being a basis for a historical and liturgical study of the Book on Pontifical Ceremonies, with particular emphasis on the course, structure, rites and traditions related to the celebration of the Solemn Mass by the Bishop of Rome. The Church’s teaching on divorce is a hot topic from which no one can escape. A good starting point to understand what is going on is a well-balanced article that appeared at the end of last year on La Bussola Quotidiana (The Daily Compass) by Matteo Matzuzzi that sketches and frames the essential terms of a debate that is unfolding. This debate was stirred up by a paper written by Cardinal Reinhard Marx, Archbishop of Munich and Freising at the beginning of last November that was a real attack against the Prefect of the Congregation for the Doctrine of the Faith, Msgr. Gerhard Ludwig Müller. There is a paradox in all of this, since the latter, whose position anchors him to first principles, is well known for his allergic reaction to Tradition. Someone else who is involved in this debate is Cardinal Kasper, President Emeritus of the Pontifical Council for the Promotion of the Unity of Christians, who in the past few days opened, as the Pope wished, the Extraordinary Consistory on the Family. On this occasion he said: “I have offered a theological introduction to the beauty of the family. We must begin with this in order to deal with the rest, including those burning problems that exist. I have also spoken about the thorny problem of Communion to divorced persons who have remarried, but in terms of a situation that is complex. “ But in a recent interview, it seems that Kasper has joined the group of “rebels” as identified by the author of the Bussola article. At the conclusion of the interview, with his words carefully reported as he spoke, Kasper indicated that the discussion has expanded with another request from the Church in Germany regarding the involvement of the laity in the election of bishops. "Pope Francis, you are the man to regularize the SSPX"
I have also come to believe that Pope Francis' is exactly the right Pope to do it. In his address to the evangelicals, he makes clear his real concern for unity. Further, Pope Francis' commitment to the aims of the Second Vatican Council is unquestioned. Were he to be generous in such a way, nobody would ever interpret it to be a rejection of the Council. How could it be? This perception may not have been the case in the last pontificate. Pope Francis is uniquely suited to this magnanimous moment. Please Holy Father, let us not let this moment pass and this rift grow into a chasm. Make this generous offer and save the Church from further division. Do this so that none of your successors will ever say, "If only we had done more." In our Quinquagesima Editorials, repeated more than once (Ecce Ascendimus Ierosolymam, 2006 and other years), we insisted that "this is the time" -- and by "the time" we meant not a specific moment, but, generally, the pontificate of Benedict XVI. We have always believed that, though negotiations are important to smooth details, only a generous and kind unilateral settlement by the Supreme Legislator could get things done -- that was the only way Summorum Pontificum was promulgated as well; if Pope Ratzinger had tried to negotiate with French and German Bishops, we would still be waiting for it... Well, Mr. Archbold is very optimistic in suggesting what is an unexpected outcome for the moment. Let us pray for the unity of the Church, and for peace inside the Fraternity of priests founded by Abp. Lefebvre. Charity and the path up to Jerusalem and Calvary (cf. Epistle and Gospel for next Sunday, Quinquagesima): those are the only paths to salvation, peace, holiness, and unity, in the Church and in life everlasting. In this case, not the Pope Emeritus, but poor Pat Archbold. EWTN's National Catholic Register and their intolerance just proved Benedict XVI right - one more time! It cannot be that Pentecostals have full presence in their paper, and their own Catholic brothers and sisters (whose priests are in an irregular situation, but are still priests, celebrating Catholic sacraments every single day) do not. How can unity ever be achieved thus? Curiously enough, we are pretty confident that Francis would be the first to reject this demeaning level of servility and sycophancy. *Second Update (0230 GMT): Mr. Archbold's article can now be found in his own personal website, here. Below, please find the eightieth posting of enrolled Souls of the Rorate Caeli Purgatorial Society. It's another large list this month with nearly 1,500 Souls. 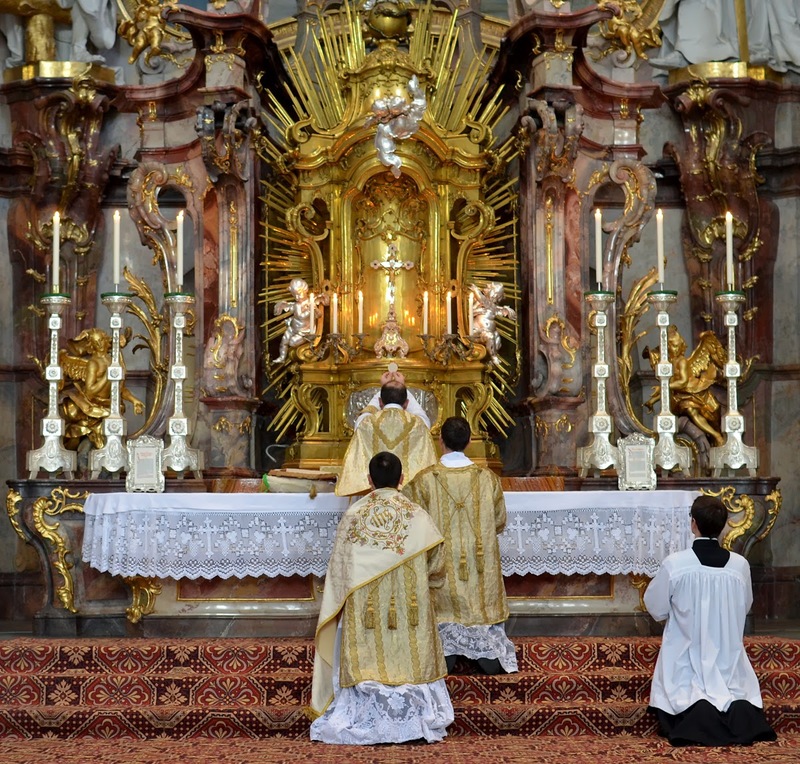 The seminarians of the European seminary of the Priestly Fraternity of Saint Peter (FSSP), in Wigratzbad, Bavaria, visited one of the most glorious abbatial churches in the world, in Ottobeuren (click image for larger view), for the feast of the Chair of St. Peter. Several images of the visit are available here, courtesy of the seminary blog. Ottobeuren Abbey, which is celebrating the 1250th anniversary of its foundation this year, unfortunately does not host regular celebrations of the Traditional Mass it was built to house. But the Traditional Roman Rite is not a privilege of beautiful churches, it is a common heritage of all of us everywhere, all Catholics in the Latin Church. This is our Mass, thanks be to God. As a sign of this, we also recommend the pages of recent photographs of the permanent mission of the Institute of Christ the King (ICRSS) in Mouilla, Gabon, currently staffed by Canon Fragelli, and his enthusiastic parishioners as well as the local Ordinary. The sound is that of the parishioners of Notre-Dame de Lourdes, in Libreville, whose vicar is Canon Bergerot. 1. In Rome, Ash Wednesday, March 5, 2014, at 6:30pm, Archbishop François Bacqué, Apostolic Nuncio and Titular Archbishop of Gradisca, will celebrate a Solemn Pontifical Mass, preceded by the blessing and imposition of ashes, at the Parish of the Priestly Fraternity of St Peter (FSSP) in Rome, Santissima Trinità dei Pellegrini. 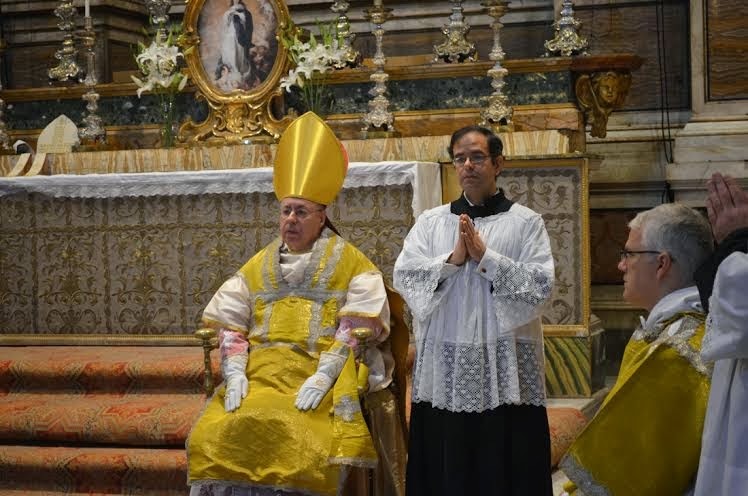 Archbishop Bacqué was in the diplomatic service of the Holy See and was pro-nuncio in Sri Lanka and Nuncio in the Dominican Republic and the Netherlands. We call upon all our many readers who will be in the City or nearby that day to go to Trinità dei Pellegrini, with hearts and souls prepared, to receive the sacramental of the ashes and, afterwards, the Body of Christ on the first day of the holy season of Lent. On Friday, February 28, 2014, at 7:00pm, Sacred Heart Catholic Church in Salisbury, North Carolina (Diocese of Charlotte), will be celebrating a Solemn High Requiem Mass pro populo. The musical setting will be Fr. Tomás Luis de Victoria's Pro Defunctis for four voices. The first major change made by Pope Francis in the permanent structure of the Roman Curia is the establishment of a Segreteria per l'Economia (Secretariat for the Economy) to oversee and assemble all financial and economic operations of all administrative affairs of the Holy See - details to be known shortly in a motu proprio published this afternoon in the Tuesday edition of L'Osservatore Romano. Francis: "Jesus did not have to come to teach us good manners"
My brother Cardinals, Jesus did not come to teach us good manners, how to behave well at the table! To do that, he would not have had to come down from heaven and die on the Cross. Christ came to save us, to show us the way, the only way out of the quicksand of sin, and this way of holiness is mercy, that mercy which he has shown, and daily continues to show, to us. To be a saint is not a luxury. It is necessary for the salvation of the world. This is what the Lord is asking of us. 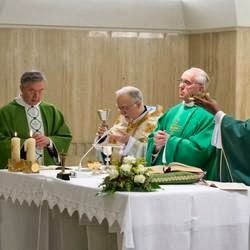 "I could have better spent my time with the Traditional Roman Liturgy"
After having devoted nearly forty years to a worthy “reform of the reform”; after having taught and defended the Novus Ordo Missae to the best of my ability; after having composed — to a certain acclaim, even from a dean of the Pontifical Institute of Sacred Liturgy — an entire monastic antiphonal in modal plainchant for the French liturgical texts; after having composed hundreds of plainchant settings for the Proper of the Mass in the vernacular; after having fought mightily for the restoration of the Proper Chants of the Mass; after having argued to the point of exhaustion for an intelligent obedience to the Institutio Generalis Missalis Romani; after having poured myself out in lectures and in preaching to priests, seminarians, and religious, I am obliged to conclude that I could have better spent my time and my energy humbly carrying out the traditional liturgy such as I discovered it — and such as I so loved it — in the joy of my youth. I say this not with bitterness but with the seasoned resignation of a weary veteran lately come home from an honourable defeat in the liturgical Thirty Years War. I respect those priests and layfolk who continue to believe in “the reform of the reform”. I honour their devotion and perseverance but, from where I stand and at this point in my life, I think their energy misplaced. Life is short. I can no longer advise others to devote the most productive years of their life to patching up a building that was, manifestly, put up with haste during a boom in frenzied construction; it has shifting foundations, poor insulation, defective fixtures, and a leaky roof. Right next door, there is another old house, comely, solidly built, and in good repair. It may need a minor adjustment here or there, but it is a house in which one feels at home and in which it is good to live, and it is there that I choose to live out my days. If others choose to live in the “fix–up” next door, I can only wish them well, confident that we can live as good neighbours all the same, with frequent chats over the fence in the back garden, exchanging insights, and perhaps even learning something from one another. 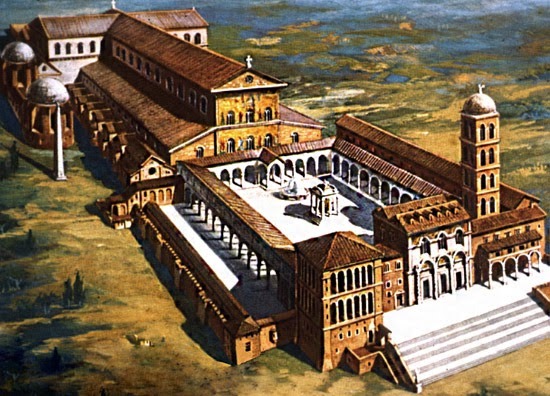 One the things I have learned over the past forty years, and this amidst the taedium of much dura et aspera, is that monks (and nuns) who profess the contemplative life gained nothing from changing the forms, content, and language of the sacred liturgy. Liturgical change swept through monasteries like a hurricane, leaving the most pitiful destruction in its wake. Did the so–called liturgical renewal in monasteries give rise to an increase in vocations? Did it generate a more generous commitment to the touchstones of sound monastic observance? Did it foster a greater zeal for the Opus Dei? Few monasteries have recovered from the ensuing decades of liturgical unrest. This is a one-time TLM being offered by a young resident priest at a parish in a once strong Catholic neighborhood made up of Polish, Italian and German immigrants. The “three churches” along the short stretch of Allegheny Avenue (known as “Church Alley”), St. Adalbert’s (Polish), Our Lady Help of Christians (German) and Nativity BVM have all seen sharp decreases in parish membership. Each parish at one time had large rectories and convents filled with religious, and each with their own parish school. Now a mere 4 priests and 2 nuns remain at the 3 parishes. The 3 parish schools were combined into 1 in 2006 and student enrollment continues to decline. In 2015, the Archdiocese of Philadelphia will evaluate this cluster of parishes to determine which and how many churches to close, which is the new annual tradition in Philadelphia. The TLM being offered at Nativity BVM is likely the first one open to the public since the post conciliar changes, and there are no plans to make this a regular occurrence due to strained parish resources. Please join us at Mass on March 1st at 11:30 AM to pray for this dwindling community of faith and to offer thanksgiving for this opportunity to pray the Mass according to the Traditional Rite. Our Twitter feed is now embedded in our sidebar to the right. Those who wish to follow us can just click on the "Follow" button. Those who do not want to or are not able to follow us on Twitter can now see our tweets directly here. This is useful in particular for those links, images, audio and video suggestions that we do not deem relevant or interesting enough to warrant a post - or that we simply do not have the time to publish as an individual post. It is also an easier way to contact us, by tweeting an information to us at the bottom. Thank you for following us and giving us your feedback. The video format is something which we at the Latin Mass Society very much want to develop, as a tool for explaining issues connected with the TLM as well as to promote our events. This should be the first of many. What does it mean to be a traditional Catholic? It means something quite unlike what is meant by "catholic" above. What does it mean to be a "traditional Catholic"? It is sometimes asserted that traditional Catholicism is bound up with a prideful attitude—that it is impossible to profess traditionalism without being pharisaical. 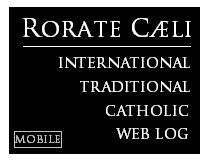 Some even object to the phrase “traditional Catholic,” as if it were redundant: Aren’t Catholics by definition adherents of Catholic tradition—and thus, any Roman Catholic has as much right to be called “traditional” as he has to be called “Roman”? How nice it would be if this were true, but alas, it is far from being the case. First, the psychology of the issue. There is a danger of pride or pharisaism in any possible true description of oneself: Christian, Catholic, Roman Catholic, traditionalist. To say “I am a Christian” is a genuine boast for St. Paul and for every martyr who has died for Jesus Christ, including the God-fearing victims of Islamic extremism in Syria and elsewhere. Are we to say that because someone might revel too much in the title of Christian and think himself better than his unbelieving neighbor, the very title ought to be abolished? One might just as well avoid baptism, which, thanks to no merits of our own, truly makes us better than we were before, and far better off than any unbeliever. Tradition of goods and assets: a concept well established in Roman Law. Or, to take up the charge of redundancy: “Catholic Christian” may seem like a triple redundancy, yet it is useful precisely because there are Protestant and Eastern Orthodox Christians. “Traditional Catholic,” likewise, is no redundancy, because there are so many Catholics who are, intentionally or not, modernists in their thinking and their practices. In an ideal world, the Christian ought to be the Catholic, just as the Catholic ought to be traditional; but even as not every Christian is Catholic, not every Catholic is traditional in a meaningful sense of the word. 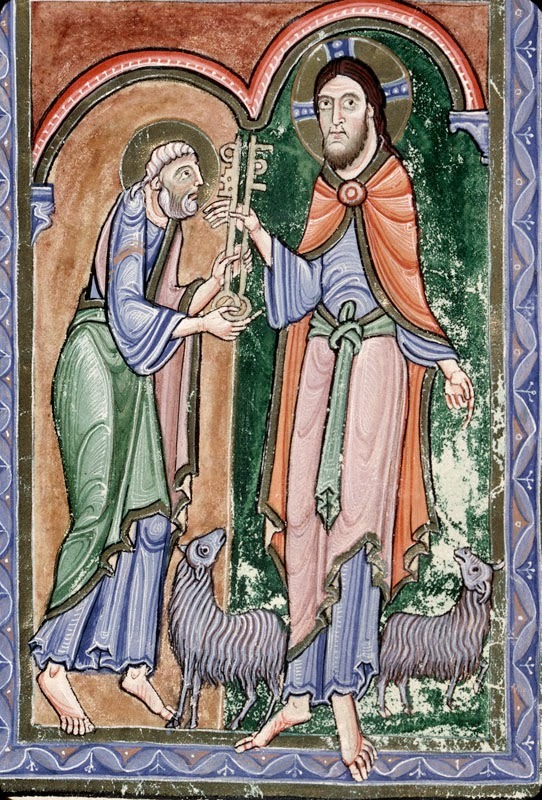 Pursuing this point, we would be deceiving ourselves if we did not recognize that it is quite possible today—in a startling and unprecedented way—for Catholics not to be traditional, not to be thinking and living in accordance with major elements of their 2,000-year tradition, such as asceticism, liturgical praxis, and adherence to orthodox doctrine. For the first time, we have seen the widespread acceptance of an interpretation of Catholicism that is anti-traditional, that considers itself free from tradition, free to reshape itself according to indeterminable “modern needs.” Apropos the concept of aggiornamento, Karl Barth apparently asked the Catholic Church this uncomfortable question in 1966: “When will you know if the Church is sufficiently updated?” This is the Achilles’ heel of every Weigel-style critique of traditional Catholicism: just like Bugnini in his liturgical reform, Weigel has to pick and choose what’s worth keeping and what ought to be discarded in his evangelical re-envisioning of the Church, as if he were standing outside of tradition, history, and papal teaching, standing over it rather than submitting to be formed, measured, and judged by all of it. If there are dangers of pride in any state or way of life, there is no less a danger of being proud of one’s very open-mindedness, one’s freedom from ideology, one’s immunity to the error of judgmentalism, one’s superbly balanced apprehension of reality. One can be a Pharisee of open-mindedness, an ideologue of dialogue, a dogmatist about refusing to dogmatize. One can be simplistic by seeing everyone who takes a strong line as a simpleton. The only one who can escape pride, judgmentalism, and ideology is the one who completely submits his mind to an objective external standard, one who submits his heart to another whom he loves without qualification. The traditional Catholic is one who says: There is such a standard, and it is Divine Revelation, communicated to us in Scripture and Tradition and guarded by the perennial Magisterium. He is one who says: There is such a beloved, our Lord Jesus Christ, to whom absolutely everything—all human actions and sufferings, all arts and sciences, all cultures and governments, cities and nations—must be intentionally and explicitly ordered if they are to achieve their God-given purpose. And when they are not so ordered, they are doomed, over time, to feebleness, perversion, anarchy, and suicide. The traditionalist can maintain these positions humbly because they are true, and it is the truth that sets us free from all sin, including the sin of pride. The traditionalist desires to receive humbly what the Lord has given us, to open wide his heart to his blessed inheritance that is always so much greater than his own limited mind can comprehend, much less improve upon. The pridefulness of the modern(ist) Catholic consists in thinking himself superior to his Catholic inheritance—in a position, one might say, of “self-absorbed promethean neopelagian” creativity towards what has been devotedly handed down, century upon century. The judgmentalism of the modern Catholic can be seen in his dismissive attitude towards traditions and the traditionalist who loves them, whom he refuses to see as a lover of the full breadth and depth of Christ and of His Church, and whom he finds it easy to caricature as narrow-minded, rigid, joyless Pelagian, et cetera. Slogans abound, while catechism is not taught; “pastoral” is continually mentioned, while sacred ministries are gradually abandoned; there is talk of the Word of God—yet it is taught as if it were all a fairy tale. There are dissertations about closeness with God, while at the same time the Most Blessed Eucharist is mocked or ridiculed. At least in practice. And all of this is progress! One might have thought, in recent years, that Catholics were at last beginning to escape the shadowlands of the seventies, leaving its pomps and works far behind. Alas, in the Church today we are seeing a renewed effort on the part of some to promote the same old postconciliar “progress” lamented by Cardinal Siri. We are being given as our “pastoral model” a modus operandi that originated in the secularizing confusion of the years immediately following the Council—a modus operandi that badly failed back then and will, by God’s justice, fail again and again, since it is anti-traditional in content, method, and goals. To return to our point of departure: in normal circumstances, “Catholic” should be equivalent with “traditional.” Today, it decisively does not mean that; indeed, with the infiltration of modernism into the highest echelons of the Church, it cannot mean that, for some individuals. And yet, since to be a Catholic is—and must always be—to adhere to the Tradition handed down to us from the saints and to honor and preserve Catholic traditions, it follows that an explicit or implicit adherence to Tradition is, in fact, necessary for salvation, whereas hating or despising Tradition is a sign of one’s intention to depart from the Church of Christ, as a result placing one’s soul in jeopardy. There is far more resting on this matter than a particular person’s preference or inclinations: the very salvation of souls is at stake. The joy of the Gospel is bound up with knowing the truth, confessing it in season and out of season, and clinging to it with the determination of love. May God preserve us from the false joys of this world and all of the new Gospels that clamor for acceptance. Lent is coming ... soon. In the past, you could find a traditional Lenten Mission at many parishes. Now, unless you are near a traditional parish, they are nearly extinct -- or all but worthless. Fortunately, we are not meant to live in the past, we are meant to live in the now. And, now, we have the Internet. And, there is an abundance of good on the Internet, along with the bad. Through our partnership with Audio Sancto, we bring to your attention this wonderful, traditional, five-part Lenten Mission by the holy and learned Fr. Isaac Mary Relyea. While it is not short, it does go by very quickly, and is easy to follow and understand. It's clear, concise and bold. "They're legal now, let's move on, OK?" 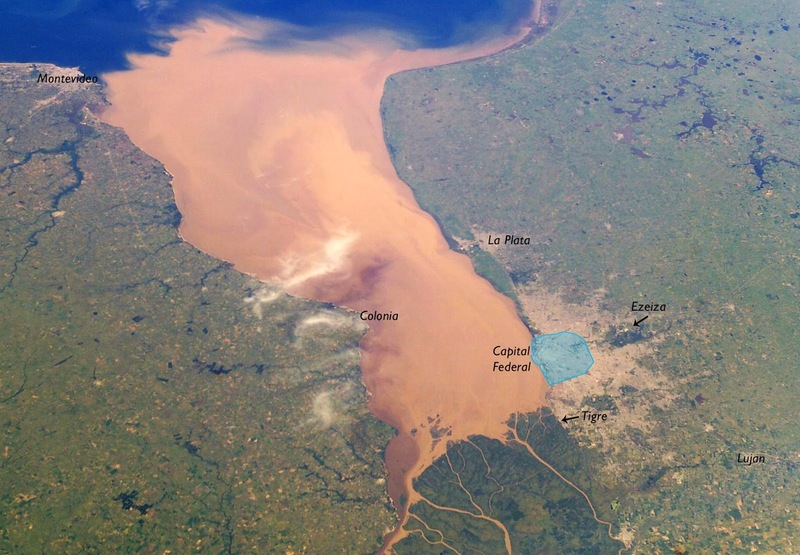 The small nation of Uruguay, across the Río de la Plata from the native Buenos Aires of Pope Francis, shares with the Porteños next door the same different Spanish accent and the same secularized society. After the Council, a once militant Church began to accept everything, and there were even bishops embroiled in grave scandals (see this 2009 post, for instance). In the past year the Socialist government approved two laws in a row, legalizing abortion on demand (the first for a South American country) and homosexual marriage. -The government approved last year the legalization of abortion. What is your opinion? -I think we have to move on [mirar para adelante, lit. "look ahead"] because the law is already approved. And here what is important is a Church that goes out to heal the wounds of society, that keeps defending the life of the unborn, from the first moment of conception until natural death. -What do you think of the law that approved homosexual marriage? -The same, it has been approved, we have to move on [mirar para adelante, lit. "look ahead"]. I am against this law, but I believe that what matters is human dignity more than the sexual condition. I defend the family, formed by man and woman, defend that these families be generous in the transmission of life, and at the same time feel an enormous respect for the persons who form a homosexual couple. It is an error to call it marriage, I believe it is an error for adoption to be allowed to them, but I understand that legal solutions be found. "¡Qué buen vasallo sería si tuviese buen señor!" "What a good vassal, if only he had a good lord!" - one of the most famous sayings of the Castilian language is one that provides great lessons for us. It comes from the Cantar de mio Cid (the Poem of the Cid), precisely from the moment the King of Castile, instead of making good use of El Cid (Rodrigo Díaz de Vivar) for the cause of Christendom, made him roam, rejected, through the streets of Burgos and forced him to find other lords who would indeed put him to good use. We have often insisted that the Crisis of the Church is a Crisis of Bishops. For reasons only fully known to God Himself, the structure He chose to bestow upon His Church is one in which specific men hold a key position, having themselves both the supreme power of sacramental continuity and the central administration of the local Church. Differently from other kinds of social arrangements, this means that in our Hierarchical Church a good bishop can restore his diocese for generations to come -- yet, it also means that a lousy bishop can ruin the work of generations and transform a flourishing orchard into a wasteland. Millions of Catholics could be ready to work for the Lord in social and political life -- yet so many bishops throw us to the wolves. No wonder many born in Catholic families end up working militantly and often unknowingly for the cause of death. what is, at bottom, structurally unsound"
Dom Mark Daniel Kirby, now prior of Silverstream Priory, in County Meath, Ireland, has always been one of our favorite reads on the web with his Vultus Christi blog. Since his position on the "Reform of the Reform" is now fully public, I believe I may now speak of one of our e-mail conversations many years ago when I repeated my permanent opinion, from since even before I joined the Catholic Church, that the "Reform of the Reform" was impossible in practice and throughout the width of the Latin Church (even if made with the best of intentions) because the Novus Ordo is liturgically "unsalvageable" — he said, in kinder words, he had at the time reached the same conclusion. Like most of the Brutalist buildings that ruined so many beautiful English towns and cities at the same time it was being put in place, the Novus Ordo is an unsound artificial accretion to a venerable organically developing being. This does not mean that the Novus Ordo is not valid, or that many souls do not benefit from Sacraments and prayers dispensed with the made-up 1960s and 1970s rites, just that they are liturgically gravely deficient, historically untenable, prone to subjective whims and preferences, and simply irreformable. They are what they are, and that is that. While the present is discouraging in many ways, what the decades and centuries to come will bring is quite another matter. Let each one of us make our own effort according to our own state in life. Lest we be misunderstood, we are not gleeful great minds are reaching the same conclusion: it is instead terrifying to contemplate the work that is to be done by generations to come. May God help us — and them. Father Thomas Kocik‘s article of 9 February 2014 discussing his long–standing and courageous commitment to the “reform of the reform” and his disillusionment with the possibility of it being realised dovetails with Father Hugh’s observations. I was, at one time, as deeply committed to the reform of the reform as was Father Kocik, having contributed to the Beyond the Prosaic conference at Oxford in 1996 and to the book that followed it. Like Father Kocik, although several years earlier, I came to see the futility of trying to repair something that, at bottom, is structurally unsound. 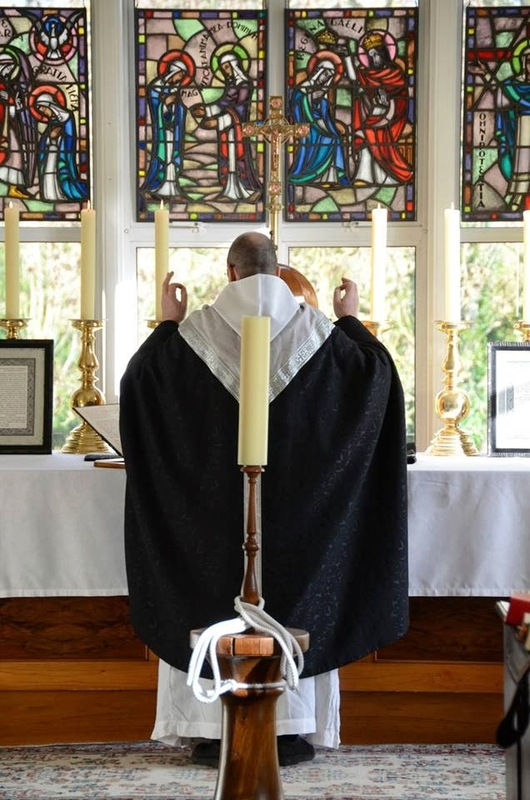 Nowhere is the old adage, “Haste makes waste”, truer than when applied to the precipitous reform of liturgical rites and the books that contain them. 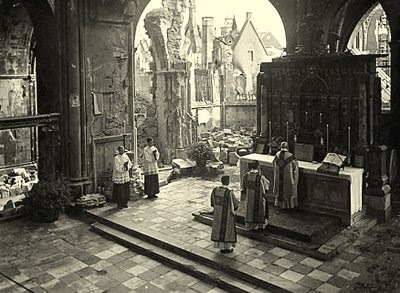 In most places the liturgical landscape has become a dreary wasteland. The liturgical rites and books prepared so feverishly in the wake of the Second Vatican Council have been tried and found wanting. There are, it is true, liturgical oases here and there, where the reformed rites are carried out intelligently, with dignity, reverence, and devotion — I am thinking of certain communities, monasteries, and parishes, the Communauté de Saint-Martin, for example — but these subjective qualities cannot make up for the objective flaws and structural weaknesses inherent in the same rites. Our own Fr. Richard G. Cipolla discussed the same article a few days ago: The End of the “Reform of the Reform”: Father Kocik’s "Tract 90". P.S. Speaking of the daughter-houses of Fontgombault, Juventutem Michigan is promoting a spring trip to the Our Lady of Clear Creek, Oklahoma, on March 1-9. Details and application here. Terminology: What is the "official" name of the Traditional Latin Mass? We never thought it would be necessary to write this, since both aspects we will treat seem to be obvious, and have seemed so since 2007. Yet, there have been so many misunderstandings regarding the expression "Extraordinary Form" that we feel constrained to make two points clear. (1) Why was the name "Extraordinary Form" introduced by Benedict XVI in the motu proprio Summorum Pontificum? Answer: in order to solve a liturgical law conumdrum. Traditionally, throughout the history of the Church - at least since the differentiation of rites became clear and attached to specific patriarchies and geographical areas - bi-ritual priests have been exceptional. They still are an exception. 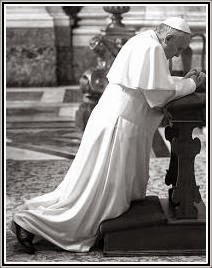 Additionally, Benedict XVI felt the need to finally undo the injustice that had been kept - and defended by most canonists - since the advent of the Apostolic Constitution Missale Romanum, of Paul VI (1969), that had created the Novus Ordo Missae: had it, and the previous and subsequent documents that modified all rites of sacraments, abrogated the Traditional Roman Rite? The use of the term "form" solved both problems: it did not make all priests in the Latin Church, including the vast majority of secular priests, immediately bi-ritual (in law), which would be rather untraditional; and, most importantly, it solved the apparent problem of the impossibility of the abrogation of a liturgical rite of immemorial origin. 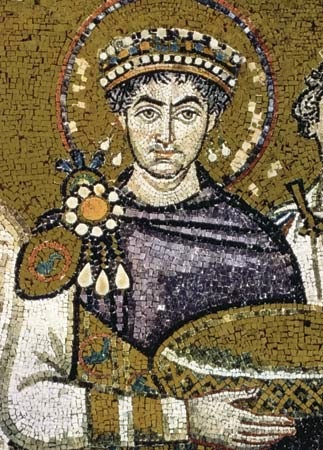 (It was an apparent problem because, as the Pope implied when he said that "what earlier generations held as sacred, remains sacred and great for us too, and it cannot be all of a sudden entirely forbidden or even considered harmful," the immemorial liturgical Rites and Uses of the Latin Church could not and cannot be simply abrogated.) In a sense it is a benevolent artifice, a noble intellectual construction, since the common celebration of the Traditional Latin Mass and the Novus Ordo Mass seem to express two very distinct rites - but the use of such legal constructions is quite common in law, and there is nothing unseemly in it. The use of the terminology made clear that celebrating the Traditional Mass is a solemn right of each priest of the Latin Church. (2) Despite this, the expression "Extraordinary Form" is NOT the "official" name of the Traditional Roman Rite. It is just one of the many ways to refer to it. In fact, as it can be seen in the very texts of the official documents, several different names are used to refer to the Traditional Roman Rite. The motu proprio itself speaks in its first words of the "extraordinary use" and of the "ancient form" (antiqua forma) of the Roman Rite. In its articles, mention is made of "the Roman Missal promulgated by St. Pius V and reissued by Bl. John XXIII" (that is, Missal of St. Pius V also is as "official" as "Missal of Bl. John XXIII" - no wonder Cardinal Navarette-Cortes used the term in 2008); it is an "extraordinary expression" (extraordinaria expressio), and also "extraordinary form" (forma extraordinaria). It is also called by the motu proprio the "earlier liturgical tradition". 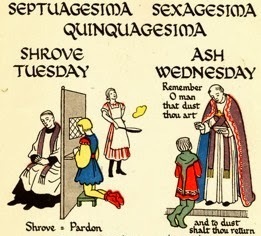 These are just the "official" names used widely in the documents themselves - not forgetting the need for clarity that demands a continued use of expressions that are established in the vernacular, such as Traditional Latin Mass (TLM) in English, and "Tridentine Mass" (even if not particularly exact) in English and in several European languages. Not to mention the very respectable use (for instance, by former President of the Pontifical Commission Ecclesia Dei Cardinal Castrillon Hoyos) of the expressions "Gregorian Rite" and "Classical Roman Liturgy". (2) do not complain when others use it, just do not use it yourself.